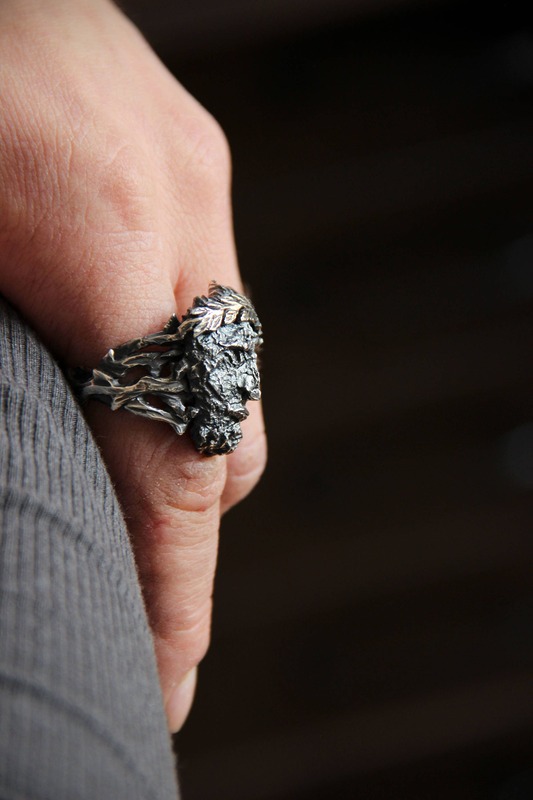 One of a kind ring made from recycled sterling silver with a bold look features roughly made man's face with a gold-plated wreath. 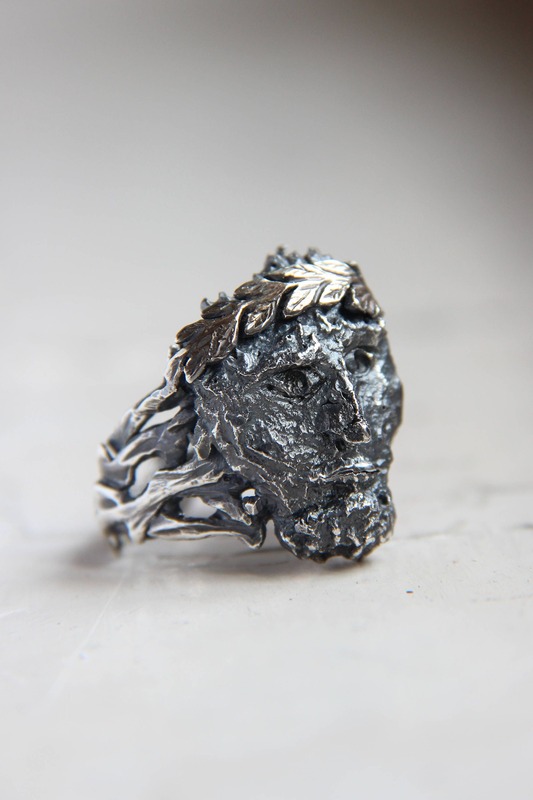 It's an ancient god face places on a shank which reminds thorns and branches. 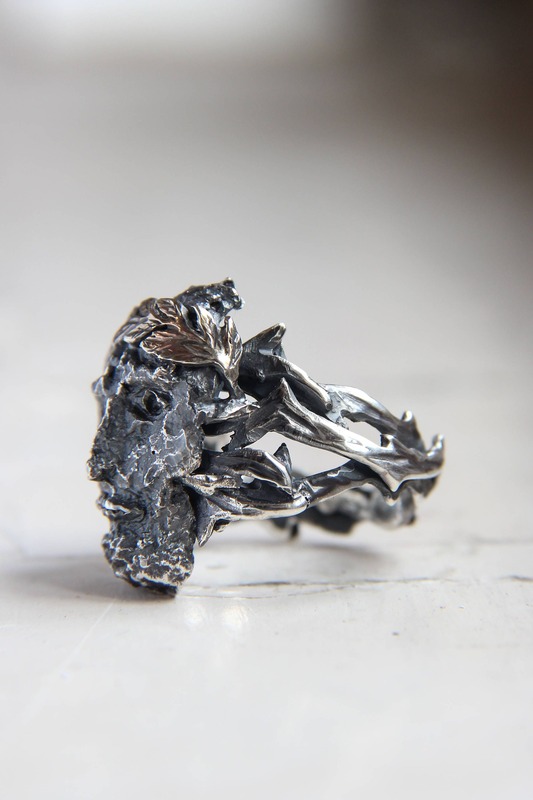 Unusual design, rough look and uniqueness of handcrafted work in this sterling silver ring. 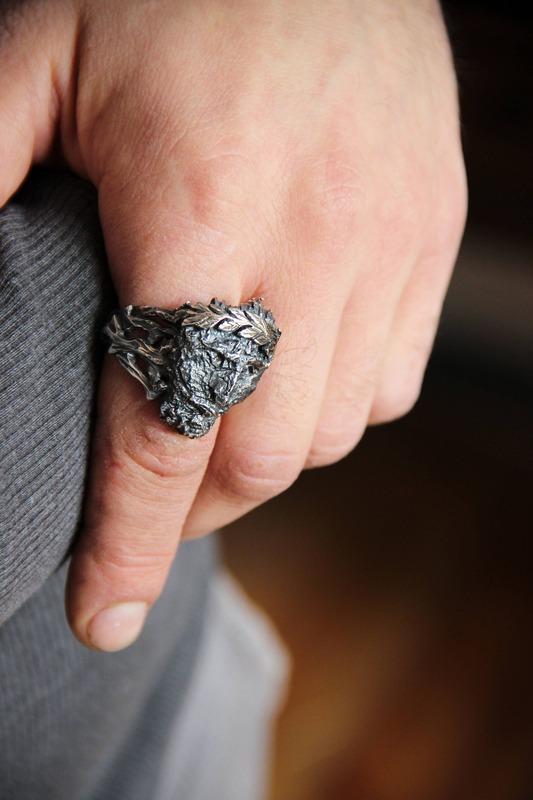 This men's ring will be a good gift for any unusual and large rings lover. 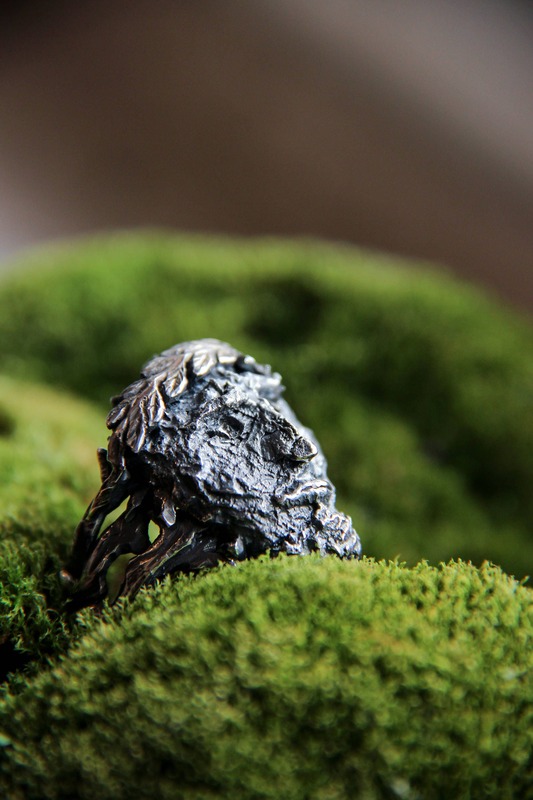 Brutalist ring is a unique piece of men's jewelry. 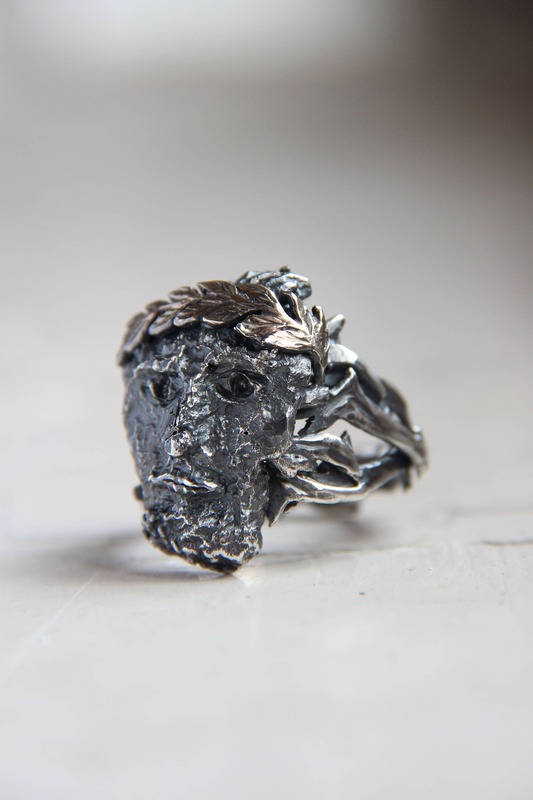 Formed and textured without using wax and cast techniques, only hand-sculpting methods. 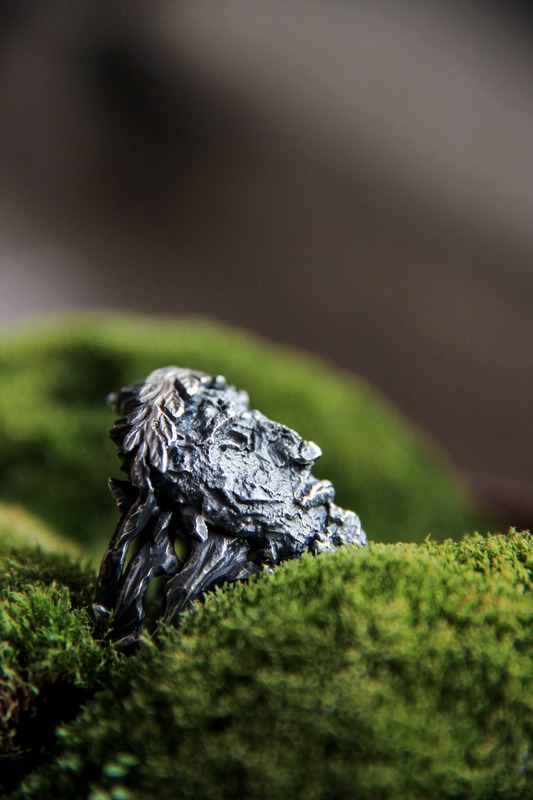 It's a unique ring and only one is available. Can be sized from 9 to 12 3/4 US size (select size when ordering). we can make different bold and rough styles from silver and gold, just contact to ask about customized design. 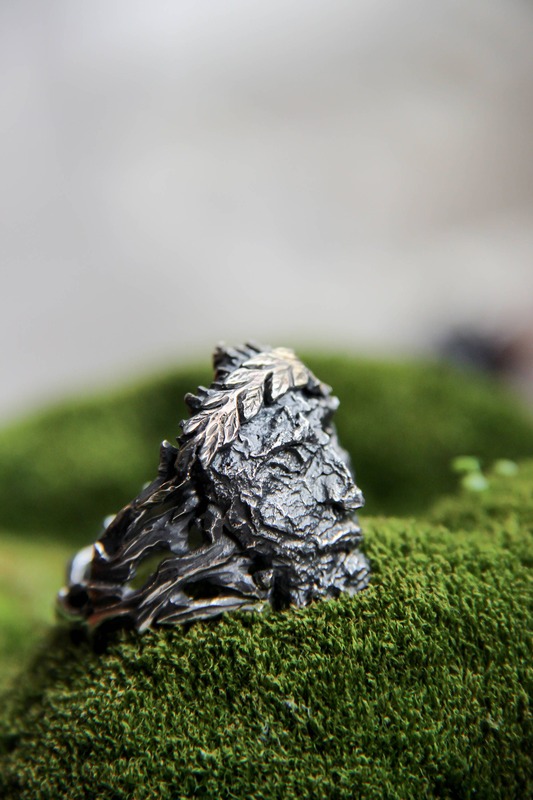 This ring is 100% handcrafted work, we don't use 3D design or moulds, only ancient techniques which give a real touch of handmade work. 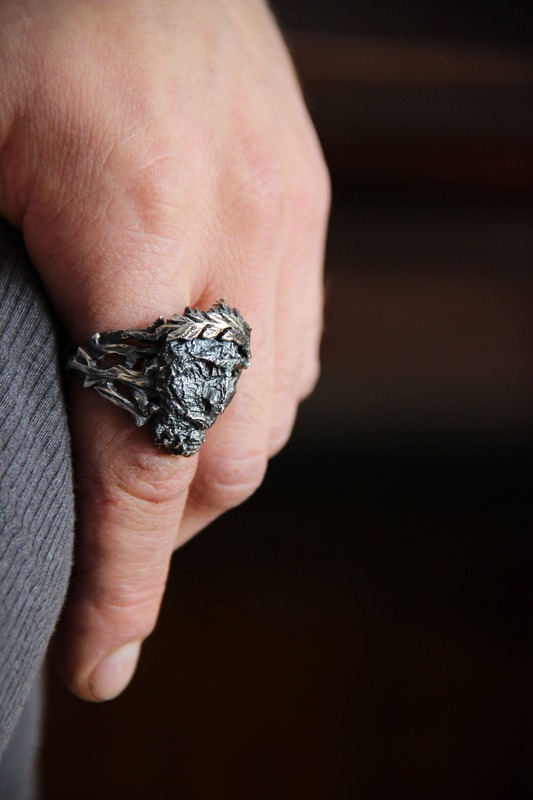 We use only metal sheets and wire for our artisan creations. 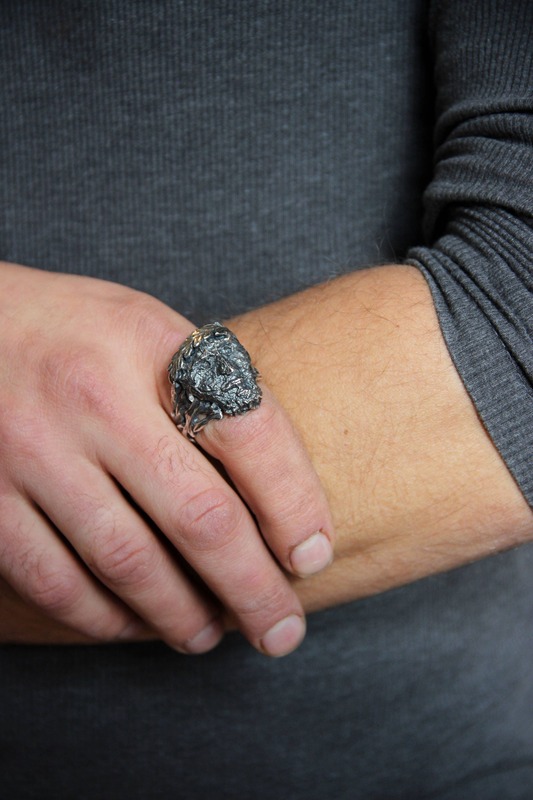 Then we sculpt the metal into different shapes using chasing and repousse technique, forming, cutting, engraving.. These are very long and not easy processes, but it is worth it!